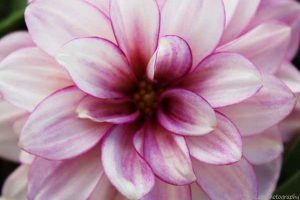 Flower essence readings use the natural healing energy of flowers to help you move through obstacles you are experiencing in life. Plants and flowers have been used for physically, emotionally, and spiritually healing for centuries. Just like us humans, plants and flowers emit energy. I'll give you an example - have you ever heard a piece of music or song that touches your soul? If you have, you know it's powerful. The feeling you received from the music is identical to the energy vibrations flowers release. My flower essence readings are non-intrusive. The energy provided by the plants and flower will give you clarity on what you're holding on to, what needs to be released. Once your balance is found, you're on the path to healing and wellness. How does the session start? The reading starts with a conversation about the concern, obstacle or issue you need support with. I then introduce you to my pendulum. It is used to identify the flower essences related to your obstruction. Next, I reference the Bach Flower Essences book (found in the Flower Essence Repertory) and cross-reference the flower(s) identified. Each flower listed in the book offers a different meaning and support. Therefore those that come through are particular to you and your question. Once the flower essence is determined, you will be guided to bring the flower into your energy field by repeating a short request for it to come in and assist you. Each flower essence is done one at a time. Sometimes you may be required to bring the same flower in multiple times depending on the depth of the necessary healing. Lastly, you will take some time to feel the flower essence coming into your energy field. Generally, it takes a couple of minutes, but it depends on the person and the circumstances. Each reading is particular to you and your needs. 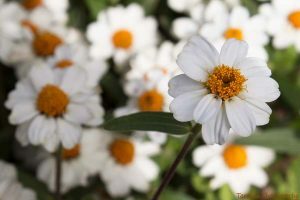 In my experience, the flower essences that are presented are incredibly accurate, and the person receiving the reading knows what they relate too. Sessions last up to 90 minutes depending on the question(s) asked and the number of flower essences. If several flowers come through, an additional session may be required. Conveniently, my sessions can be done online or in person. Sessions cost are on a sliding scale, $75-$125. How will I feel during and after the session? Overall most people feel a sense of calm and relaxation. After the reading, you may feel slightly drained or tired as energy work can be exhausting, especially if you have been holding on to toxic energy for a while. It's similar to getting a massage and feel drained after. In the days following the session, you may start to notice changes in your thinking, self-talk, and/or mood. The experience is different for everyone, and some people find they can’t put their finger on it, they just feel better. When is the best time for a flower essence reading? You're welcome to book a reading when you feel you need extra support or clarity in life or have a specific need such as feeling balanced. I've known Tara for about a year now, and she's introduced to me during this time to the benefits of life coaching and essential flower readings. After several discussions about what she does, I could see how passionate she was about her services, so I decided to try a reading. I was looking to start my own business and needed some guidance from the universe. I needed to know what was interfering with my energy and what I needed to do to remove the roadblocks. Tara recommended a reading to provide me with the tools I needed to get on the path of enlightenment. When I first arrived at my appointment, I wasn't sure what to expect or how I would feel during the reading. Tara was welcoming and reassuring. She explained the process and allowed time for lots of questions. As soon as the reading started, I was blown away by the amount of energy I felt. It's like the universe had been waiting for years to give me the wake-up call I needed. The flowers that were determined were spot on. They showed me the blocks that were on my path and what I needed to do to remove them. It was unbelievable. Since the reading, I find myself more aware of my mind and body. I'm also more aware of my actions/reactions to situations that normally would have been very impactful. I'm well on my way to improving myself and creating an environment I can thrive in! Thanks, Tara!! When I first went to Tara’s website, I stumbled across the flower essences page and reading the testimonials on there piqued my interest. After my last coaching session, I decided to inquire more about them and after talking with Tara and reading more I decided to give it a try. I was unsure of what to think as this sort of thing is “outside my wheelhouse” but tried to keep an open mind and see what came of the session. I am glad I did. It was really an amazing experience. I was shocked at how accurate the essences were that were identified to help me. I was MORE shocked as we worked through each essence - releasing and bringing in energies, at how I could actually feel a sensation at different locations on my chest/back and also at how with some my emotions seemed to swell. Afterwards, I was tired. The session was on a Friday, and I awoke Saturday feeling recharged. I can’t describe exactly how I felt different, but tasks that I had been putting off for months I suddenly felt able to tackle. I also noticed that while my kids and I weren’t doing anything out of the ordinary, I felt an overwhelming sense of appreciation and gratitude for them and was very content. My Flower Essence Reading with Tara was life changing! At the time, I was going through some incredibly stressful changes in my personal and professional life. My emotions were all over the place, I felt unsettled and I was still processing the ending of a significant relationship. I felt disconnected, lost and devastated. I was making a frantic effort to turn my life around and not become a “victim” to my circumstances, which resulted in pushing myself too hard, too soon. Getting my Flower Essence Reading done with Tara completely turned the situation around. It brought to light the inner thoughts and emotions I was so desperately trying to suppress and gave me a comforting space to process and acknowledge the things I was feeling. Rather than berating myself for what I was experiencing, Tara taught me to have more patience with and compassion for myself. I highly recommend Tara’s Flower Essence Readings and I would do it again! Thank you Tara! As you know Tara I have done many Flower Essence sessions. It never ceases to amaze me how accurate the essences are. You are so proficient with the pendulum it is shocking how every time each essence chosen is amazingly accurate. When I listen to you read the qualities that the flower essences releases I just love it when ….wait for it…..wait for it YES!!!! …there it is!… there is the statement that twinges something in me and I know that this is the sentence we need to use in the healing statement. It is so unbelievable how it releases with such ease. I have done other healing work where it brings up trauma but this is such a gentle release. I could feel the twinge before when you read the statement …… but now…. it is gone. Nope…. not there…. removed from my subconscious something that has probably directed my life from that unconscious place most of my life. I know I will be much better off for it. I know this was the catalyst that shifted my husband to a path of awareness. From there he made many conscious choices and he is so much happier and content. Thank you Tara! I am doing the happy dance that you are bringing your work with flower essences to the world! I am a passionate explorer of nature and the nature of reality, so I was excited to try this new way of gaining insights into myself through nature. I was blown away at how accurate the reading was for identifying the core of my fears of rejection and lack of boundaries. Receiving the energy of the particular flower essences for aiding in healing my childhood wounds was a pleasant surprise! My body felt the healing energy, and the meaning of the flower essences fed my heart with the messages needed to heal and gain strength. Additionally, I have new tools to use! You have many gifts Tara, and I am blessed to have you in my life. 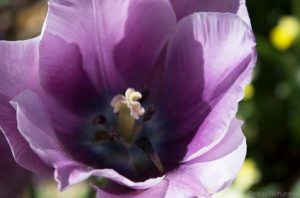 Tara’s flower essence consultation brought much needed clarity and guidance during a time when my health and other relationship turmoil had left me floundering trying to regain my sure-footedness. From our work together I was able to become much more calm. From there I was able to better trust the unfolding path that has led me to greater confidence and self-assuredness.I’d recommend it to anyone who wants to draw upon the healing wisdom and traditions of nature through flower essences. It’s not woo woo as it sounds! Ready to get the clarity, balance and support that you deserve?